It's summertime, which means plenty of opportunities for kids to fall, whether out biking, rollerblading, or just playing at the park. While we cannot keep our kids in a bubble, like we wish we could do, we can minimize their risks of harming their lips, mouth, and teeth by having them wear proper footwear that is secure (no flip flops while playing); wearing a helmet to protect their fall; and teaching them the proper way to break a fall (hands out to protect the face). 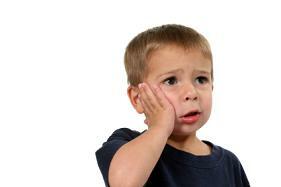 If your child ends up with an injury to the mouth, do not panic – here are some simple ways to handle it. -Control the bleeding first. You cannot tell what is going on if blood is covering all areas of his face and mouth. Excessive blood usually makes the injury look worse than it is, so grab some clean gauze and apply light pressure to the area to stop the bleeding. -Rinse the mouth. Once the bleeding is under control, lightly rinse his mouth with warm water and have him spit it out. Then you can see what is going on in there. -Apply ice to the outside of the area. If there is swelling or pain, have your child hold an ice pack covered in a thin cloth over the area to take the swelling down and decrease his pain. Once you and your child are calm and collected, feel free to call us to discuss the injury. Remember if there are any pieces of chipped or knocked out teeth, gather them by the crown of the tooth (not the roots) and keep them moist until your child can be seen. Summer is a great time to schedule your child's dental check-up! Not only will you be giving your child the gift of good oral health during a time that you have a little more free time and your child is less anxious due to being so busy with school and activities, but if your child's school requires a dental exam for admission into school in the fall, you will already have it done! Check-ups are the perfect way to catch any problems early on in order to minimize the necessary treatment and keep your child on track for good oral health! You should be changing your child's toothbrush every three months. When was the last time you changed your child's brush? Don't worry if it has been more than three months, but go ahead and change them now! All of the germs of the school year and illness season are residing on that brush, putting your child at risk of being sick during the months when he should be having fun. Go out and purchase your child the perfectly sized toothbrush with soft bristles and throw those germs away! A new toothbrush is the best gift you could give your child this summer as you pave the way to good oral health.